"I'd like to hear some funky Dixieland, pretty mama come and take me by the hand"
One of my favorites performed by The Doobie Brothers was their first #1 single, Black Water. 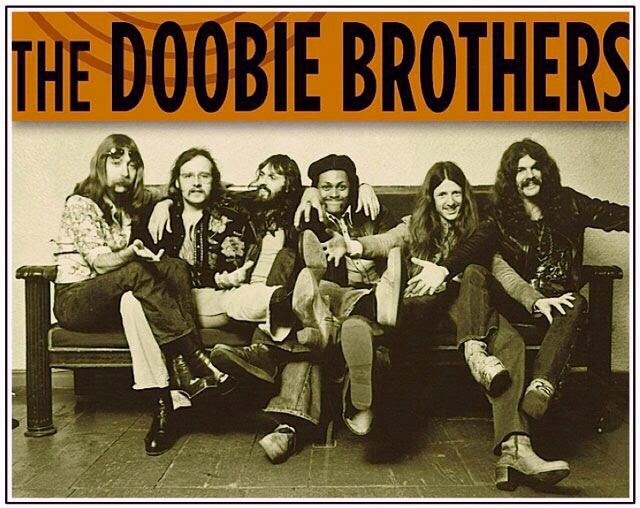 The Doobie Brothers (who aren't really brothers at all!) got their start in Northern California in the early to mid 1970's. Their first real fans were members of local chapters of Hells Angels. The Doobie Brothers had a recurring gig at one of the Hells Angels favorite venues, Chateau Liberte. The band would show up unannounced, and impromptu, and frequently without all of the band members present. Black Water was originally the B-side (remember when there was such a thing? remember vinyl records?).. er um, sorry got distracted..
Black Water was originally the B-side to Another Park, Another Sunday, but radio stations stopped playing Another Park, Another Sunday because of the lyrics ".. radio brings me down .. ", and Black Water ultimately became the more popular song. "By the hand, take me by the hand pretty Mama..."